Battle of Toulouse, France, 1814. 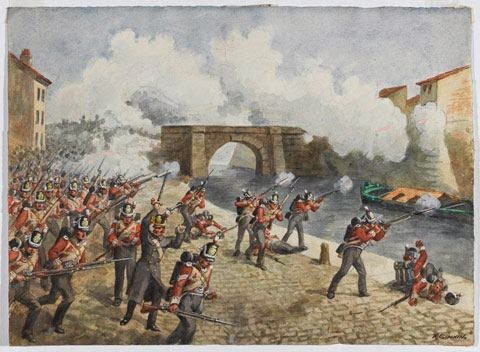 The Regiment played a small part in this, the last battle of the Peninsular War. On the following day they learnt that Napoleon had forfeited the French throne and eight days later hostilities with France were suspended. TOULOUSE was awarded as a battle honour.